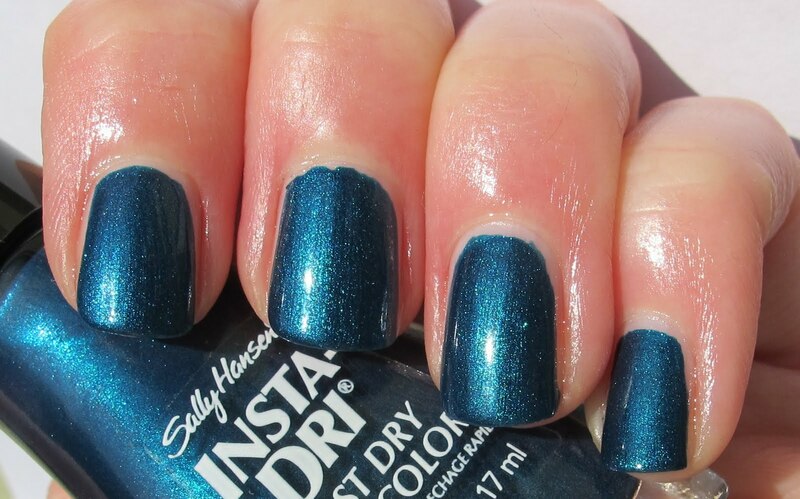 Never Enough Nails: Sally Hansen Insta Dri in Teal-y Fast NOTD! Today I am wearing the last of the Fall 2011 Sally Hansen Insta Dri polishes, Teal-y Fast. I LOVED the other Insta Dri polishes, and Teal-y Fast is no different. 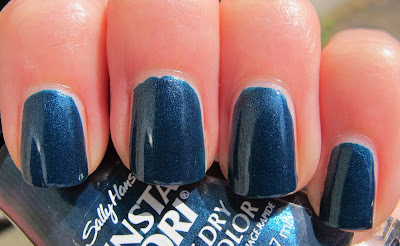 This is a lovely blue-green packed with beautiful shimmer. It reminds me of peacocks! Teal-y Fast was a dream to apply and is super pigmented. I could have definitely gotten away with one coat. I only ended up with two because I wasn't expecting it to be a possible one-coater, so I started off a bit sloppy. Check out that shimmer!!! Yow! This is such a gorgeous teal. I've been searching for the perfect teal shimmer and I think I've found it. I wanted a deep teal, I found that most of my teal shimmers were too light. This one is just perfect, it's deep, but doesn't ever look like navy blue or black. Overall, the entire Sally Hansen Insta Dri collection this fall really impressed me. It has me waiting on edge to see what they will do next!! I hope they keep using the gorgeous shimmer from this collection. 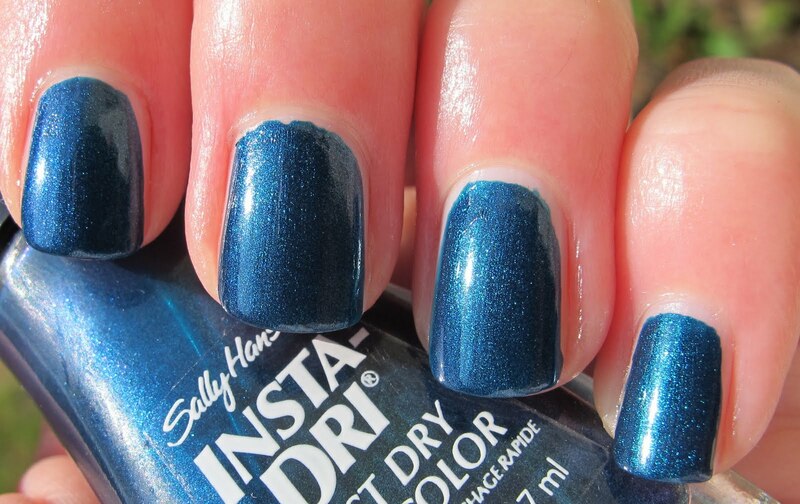 Sally Hansen polishes are sold in drugstores. To find a location near you, check their website. I agree! And I really don't have anything like it either!